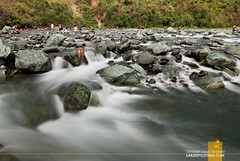 Nueva Ecija is a land-locked province situated at the central plains of the Philippine’s Luzon island. Located about 180 kilometers from Manila, it is dubbed as the Rice Granary of the Philippines due to its vast plains of rice fields. 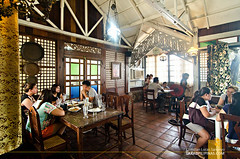 Tourist attractions are few and far between across its five cities and twenty seven towns, but worry not, there are still places to visit in Nueva Ecija. It may not have any beaches, but it has an abundance of rivers to explore, a few waterfalls and a lot of historical places. 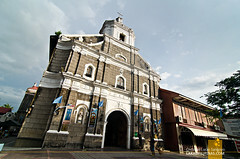 Although Palayan City is the provincial capital of Nueva Ecija, Cabanatuan City is the more commonly associated one with the province and is easier to access than the former. 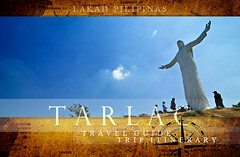 I would be basing this travel guide with Cabanatuan being the point of destination. The province of Nueva Ecija, thru Cabanatuan City, is easily reachable from Metro Manila through numerous bus lines plying the North Luzon Expressway (NLEX) and the Subic–Clark–Tarlac Expressway (SCTEX). Travel time is about three to four hours, depending on the traffic. Most, if not all buses, stop at Cabanatuan City’s central bus terminal, found just a little bit on the outskirts of the downtown area. Currently, there are no commercial airports in Nueva Ecija. Currently, there’s only one bus line plying the Cabanatuan to Baguio route, Summer Bloom Transport (Php180.00+/-, ordinary and air-conditioned, 4 hours travel time). One can also take vans, which are a bit faster than buses (Php250+/-, 3.5 hours travel time). 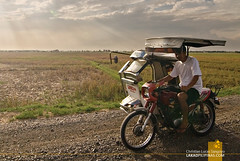 Cabanatuan is dubbed as the Tricycle Capital of the Philippines. 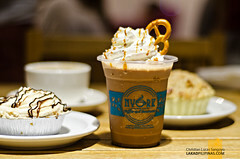 Just go to the area near the public market and you’d understand why. With that, the tricycle is really the preferred mode of transportation, not only in Cabanatuan, but also the other municipalities and cities in Nueva Ecija. Minimum fare is set at Php10.00. For longer journeys, there are also jeepneys available, but mostly on the city centers only. As far as I know, there are no organized tours around the province of Nueva Ecija. During one of my visits though, Microtel Cabanatuan organized one for us using their hotel van. You may contact them at this number: (0927) 804-2929. 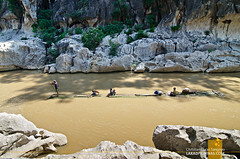 Nove Ecijanos, as the locals of Nueva Ecija call themselves speak Tagalog and Ilocano. Almost 70%, mostly from the southern areas of the province uses Tagalog, while the remaining 30% uses Ilocano as their native language. Note that the Ilocano-speakers can also understand and talk in Tagalog and the whole province can understand and speak English. How Much? – Magkano? / Sagmamano Daytoy? Most of the accommodations I know in Nueva Ecija are concentrated on Cabanatuan City. 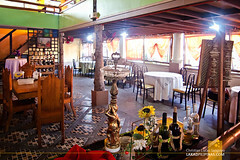 While there are inns and hotels around other towns in the province, it is really easier to start your sightseeing tour with Cabanatuan as your base of operation. As of the moment, there are no 5-star hotels in the city, but there are pretty decent lodging houses where you can spend your night in. To be honest, I haven’t really tried eating out on most parts of Nueva Ecija except Cabanatuan City. 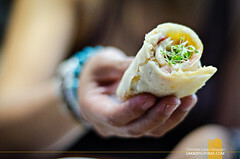 From the little time I spent on the city’s restaurants, I never once got disappointed. 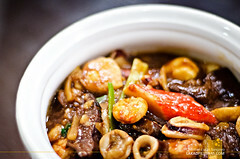 Actually, I was fairly surprised at the number of good places to eat in Cabanatuan and at the quality of their dishes. 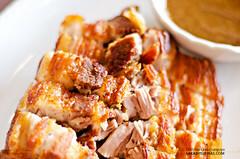 Most serve Filipino and Western cuisines. 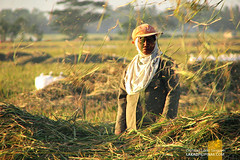 Nueva Ecija is recognized for producing tons and tons of rice but it’s not really known as a tourism hub. You can literally count the number of tourist spots along its almost 6,000 square kilometers of land, but to be fair, one can still get something out of a visit to the province. Besides the earmarked tourism places in the area, one can also enjoy the seemingly never-ending scenes of pastoral rice fields, small brooks and serene rivers that dot the entire province. If you’re looking for the usual city shirts, mugs, key chains and ref magnets, Nueva Ecija might not be the place for you. Tourist trinkets are virtually unknown on this part of the Philippines. What you can bring home though are delicious packs of local sausage or longanisa, especially those found in Cabanatuan City. Visiting the known tourist spots in Nueva Ecija will surprisingly take three full days; the main reason being that most are located far from each other. I suggest you base your stay at Cabanatuan City, as it is the easiest town you can reach via public transport and there are a lot of good food places within the area. If you don’t have enough time, you may skip on a few places and limit your stay to two days. And if you have more time to spare, I suggest you add a day or two on your itinerary to visit the many rice fields and rivers within Cabanatuan City and its neighboring towns. 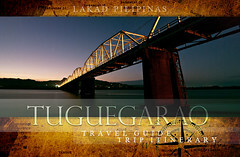 Below is a sample itinerary maxing out the full potential of Nueva Ecija’s identified tourist spots. Thanks! 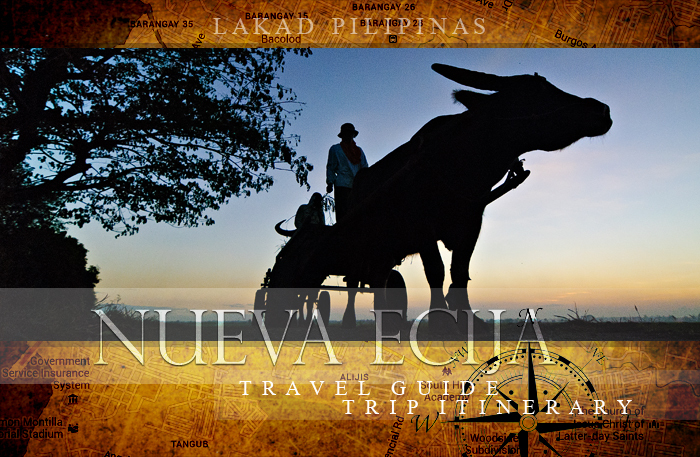 Enjoy your tour of Nueva Ecija! How much the bus fare from nueva ecija to cubao? May I know, how much you have spent for nueva ecija? 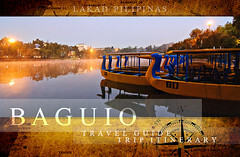 Me and my cousins are going to Minulangao National Park this Oct. 21. and ur post is all I need! 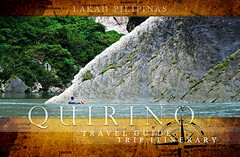 Grabe ang dami palang mpupuntahan s nueva ecija.. excited n ko.. meron din spring, and un n lng ata ang kelangan kong mlaman kung saan..
Hello, planning to go to talavera nueva ecija. May biyahe kaya ng madaling araw? at pede kayang balikan ng manila? same day? how much kaya ang fare at gano kalayo. thanks! Better call the bus stations to confirm if they have trips to Talavera very early in the morning. You may also ask them about the fare and travel time. Hi! Great guide! 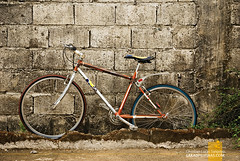 We plan on going to nueva for this summer, how do we commute from there back to Manila? Hi! What time po earliest trip papuntang Nueva Ecija? Hi Admin! 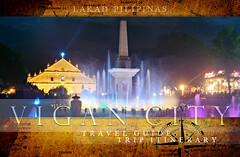 :) thank you very much for featuring my hometown, Nueva Ecija. By the way, there's a new inclusion in the tourist spots in Nueva Ecija. The Isdaan Floating Resto-Fun Park located along Maharlika Highway, Barangay Bagong Silang, Talavera, Nueva Ecija is now open. It is a 9-hectare restaurant-park complex which features gigantic statues like Buddhas, Zodiac Sign Symbols, Hulk, genie, golden carabao, monkies and many more, an underwater bridge, floating huts, and the famous "Tacsiyapo" wall. 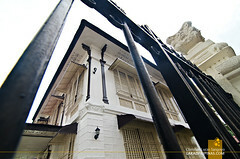 It a fun place to visit where you can savor authentic Filipino dishes and be amazed at the wonderful works of art scattered around the park. Hi, do you know how much is the bus fare from Pasay to San Isidro? 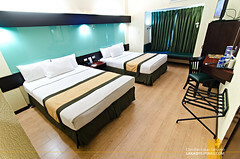 Hi guys, is anyone there know how to go from sm cabanatuan to crystal waves hotel and resort by commuting? Thank you for answering. Hi Rose, you may contact them using the number I provided above on how to get to Crystal Waves from Cabanatuan City. Hi.. How much will it cost riding taxi from naia to nueva ecija?